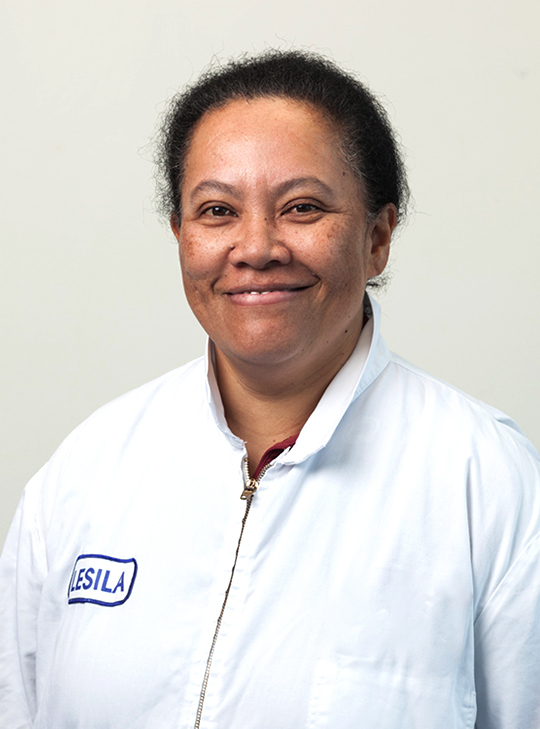 Lesila has worked at Sanford Auckland for 11 years and looks after the whole pack line as a senior operator. Lesila previously worked at Simunovich and has a total of 22 plus years seafood experience. This experience, her critical eye and high standards ensures that only the best quality fish is sent to our overseas customers. 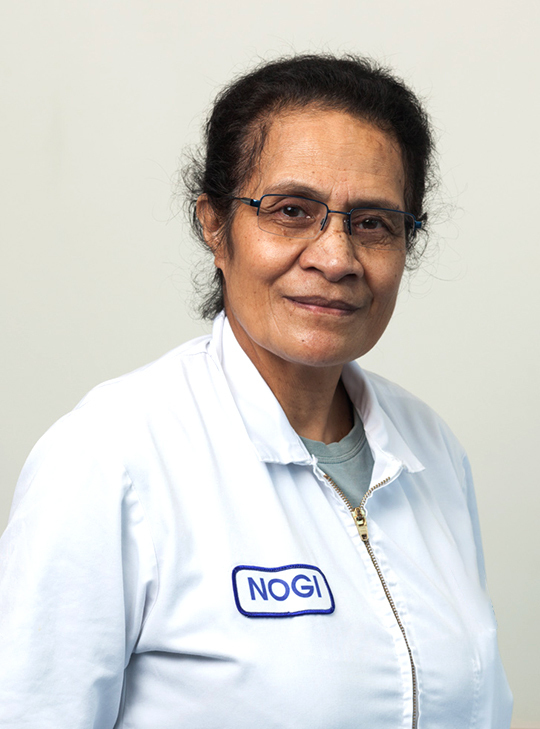 Nogi has worked for Sanford for 24 years and is in charge of the whole fish and packing area of the Auckland factory. Nogi is responsible for ensuring chilled export orders are completed correctly and in time for the tight cut-off deadlines required by the airlines. This requires good time management and the ability to get the team working together to achieve excellent results. Lloyd has worked for Sanford for 50 years and has worked in all areas of the business from processing to logistics. His favourite response to the question “when did you start working here?” is “before you were born!” In most cases this is now true. 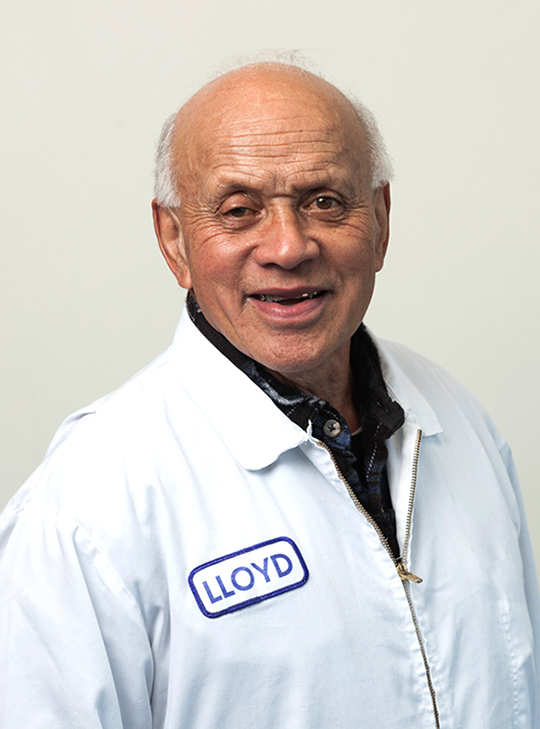 Lloyd has passed on his skill and knowledge to countless new staff over the years and is a key member of the Auckland processing team. Terri has worked for Sanford for 11 years and transferred when Simunovich was purchased by Sanford in 2004. Terri is a leading hand in the packing area and is a key part of the team that gets the fish packed and ready for the daily export and supermarket orders. Her years of experience are invaluable in ensuring that product is packed and labelled correctly. She’s a great leader of the processing team. 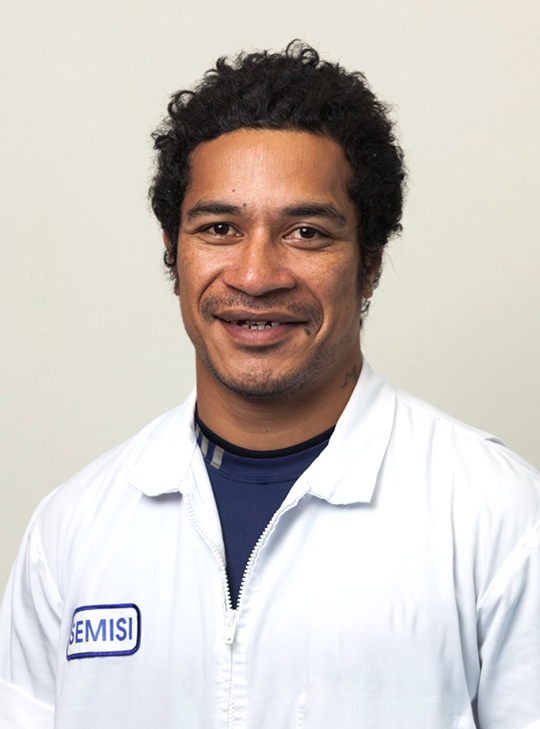 Semisi has worked at the Auckland site for eight years and has moved from the knife bench to become a line supervisor and trainer. Semisi is one of the key young people coming up through the ranks and has been identified as one of the future leaders here in Auckland. Troy has been with Sanford for four years and is keen and eager to learn and develop his skills. He works in the receiving area, responsible for the accurate recording of fish being received into production. Troy is also involved with the industry sampling program, providing data to the scientists that help manage our fisheries. Outside of work, Troy is one of New Zealand’s leading darts players, travelling all over New Zealand to play, and has achieved many top placings at tournaments. 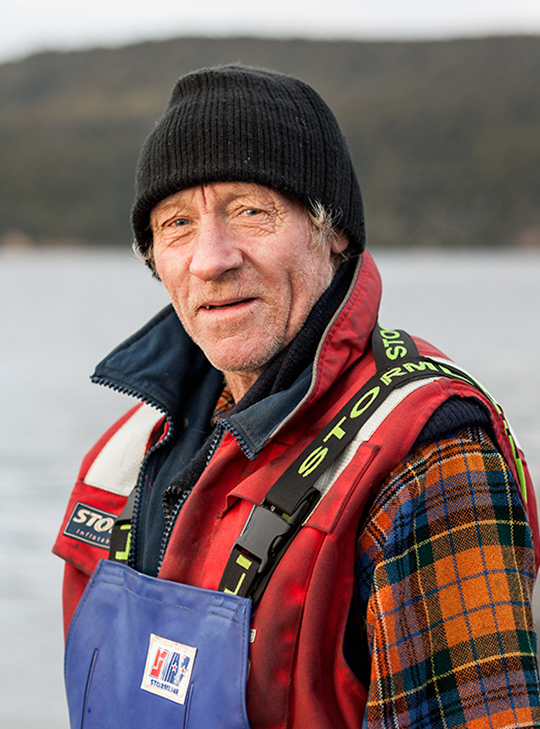 Peter has a life-long connection to fish and fishing which began when his father, a commercial fisher, taught him to fish as a child. That interest has been there ever since. His university studies saw him publish research on freshwater invasive species, and he has a particular interest in fish husbandry. 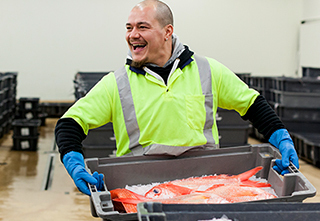 Peter joined Auckland Fish Market in 2012, gaining experience across all aspects of auction floor operations and building strong relations with our buyers and suppliers, before stepping up into the role of auction manager. Sala was born in Samoa into a large family of nine siblings. 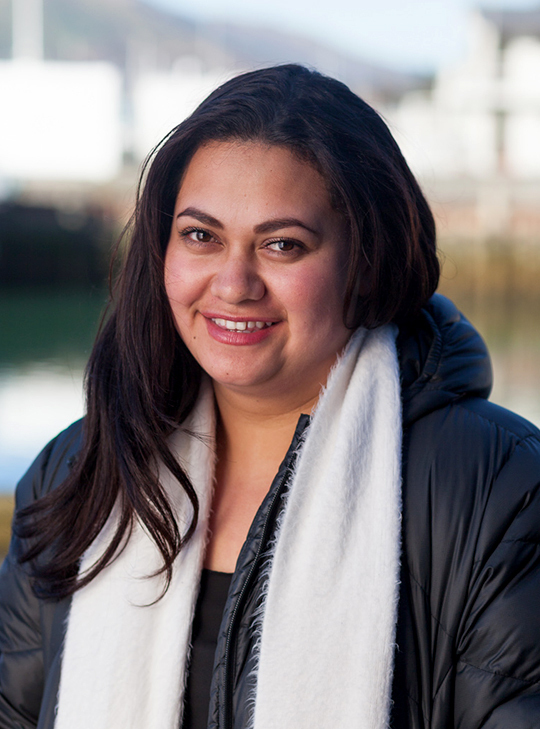 She finished school in year 12 to look after her grandmother and moved to Christchurch in 2001. 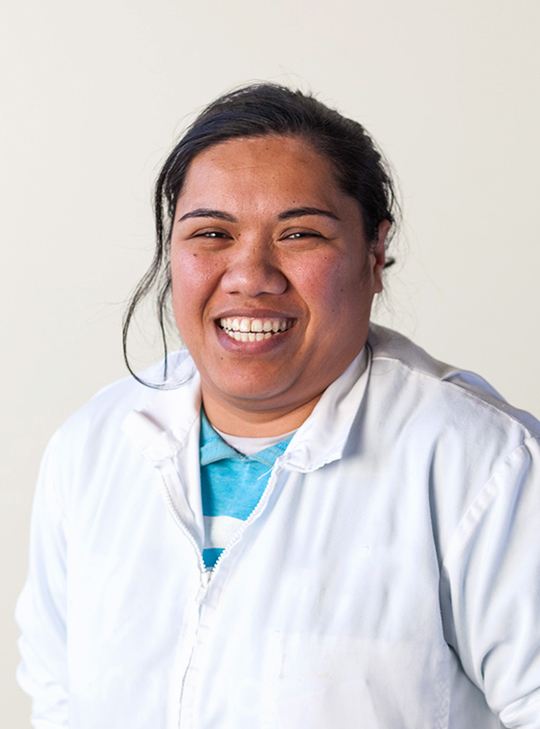 During her working career at Sanford, Sala has completed several supervisory courses and recently started a 1st Line Management course with two other supervisors from the Timaru site. During 2009 and 2010 she served a mission with her church in San Diego and after returning, met her future husband Keegan. In their free time Sala and Keegan enjoy tango dancing. Sala also makes a mean cupcake – which her workmates are often fortunate enough to share! 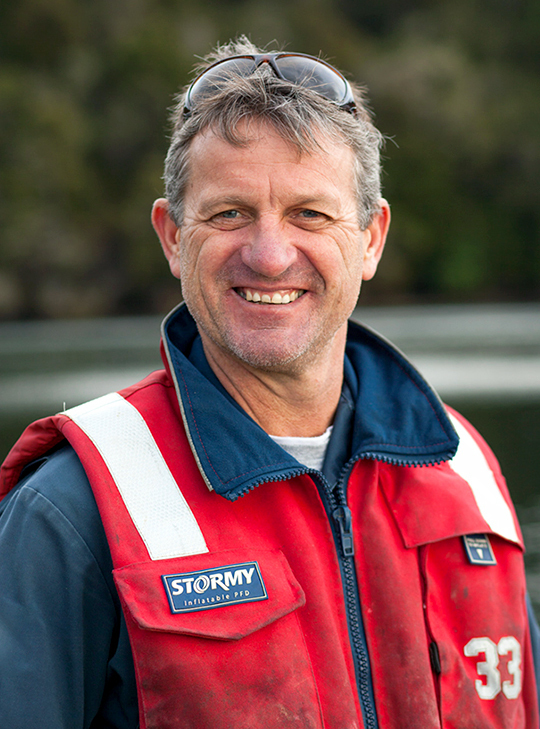 As a fifth generation Stewart Islander, Jeff has a passion for the marine environment and the great outdoors. In 2003 Jeff started working on our mussel farm. 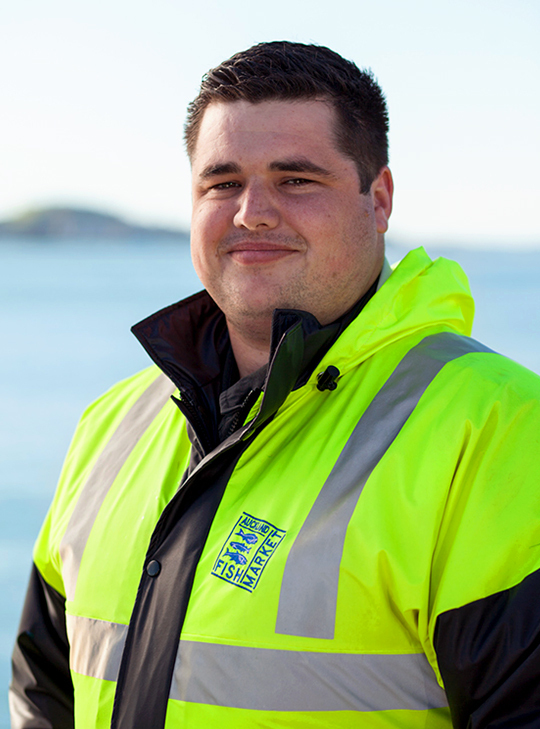 He gained his skipper's ticket and moved to the salmon farm harvest team in 2008, progressing to take on the role of supervisor in 2014. Kurt started with Sanford in 2012 and became a shift worker in 2014. He takes pride in growing our salmon into a first rate export quality product. 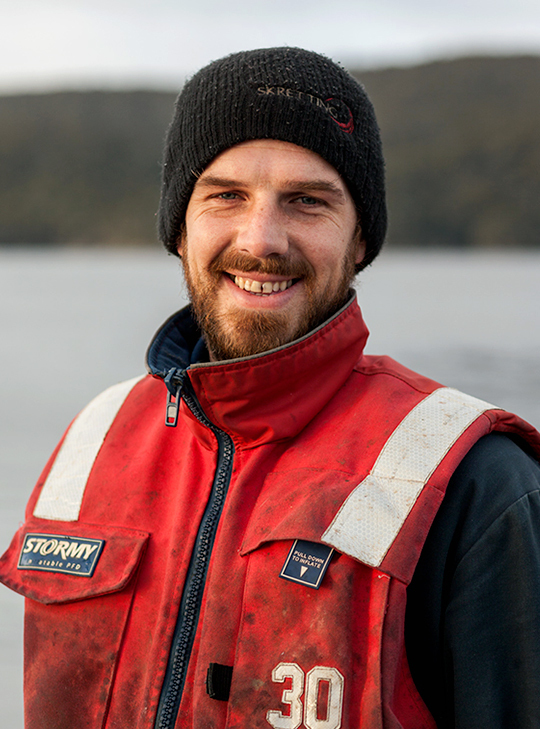 Kurt has been trained in most areas of fish farming, and has gained a varied knowledge of marine aquaculture. In his spare time Kurt loves getting stuck into home handyman projects. Bugs started work on mussels in 2003, before moving to the salmon harvest in 2004. He took on a new role as a shift worker in 2006, then in 2009 moved back to the harvest. Bugs likes the outdoors and once had a job working in wild animal recovery as a skid-biter. Bevan started working as a diver in 2006, then moved into shift work in 2008, progressing to become supervisor in 2009. 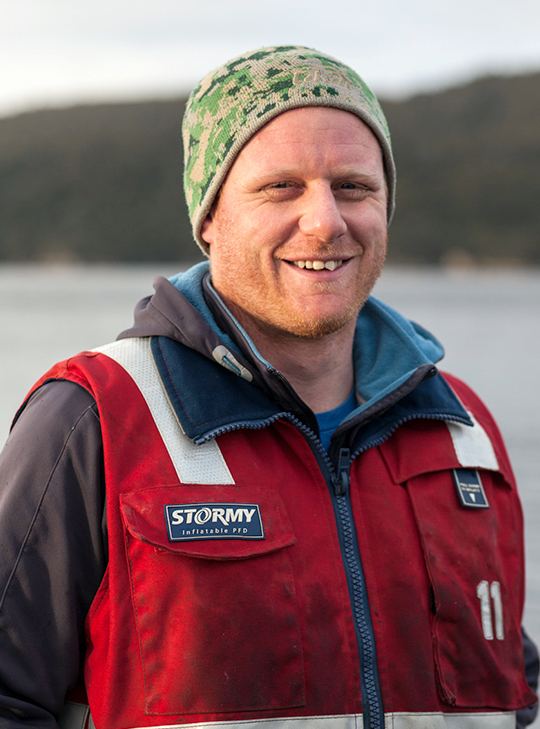 He has been involved in the smooth running of day-to-day operations and contributes to all aspects of fish farming on Stewart Island. 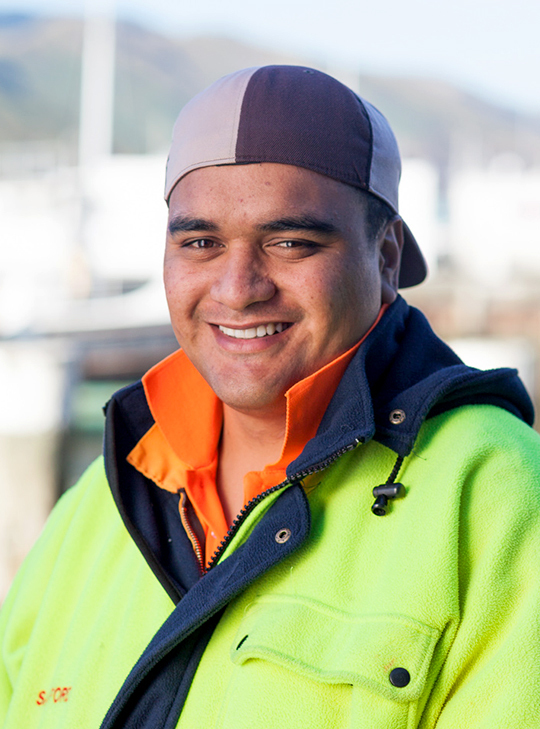 Bevan has a keen interest in yoga, diving, fishing and mountain biking. 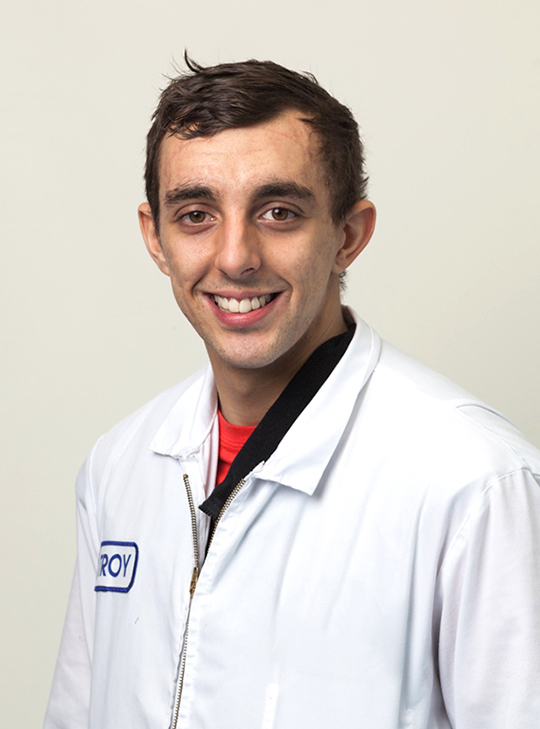 Darryl started at Sanford in 2006 as an apprentice electrician and has been with us ever since. He loves coming up with new ideas that reduce breakdowns and finds it exciting to work in an industry with so much potential. When he’s not working, Darryl’s great passions are golfing and travelling. 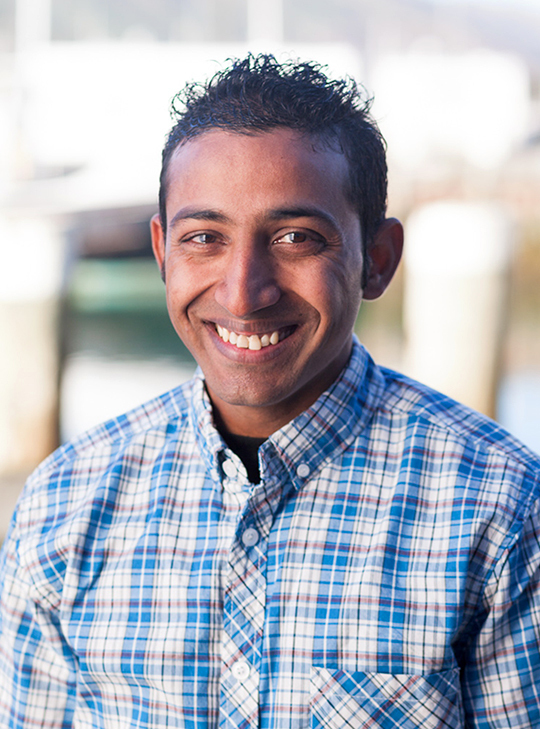 Ravi has been with Sanford for almost three years now and is part of the night shift operations team in the pack room. He takes pride in making sure our frozen products are up to our quality standards and looking for ways to make things run smoother and smarter! Outside of work, Ravi is a fitness freak. Adele’s been working with us for eight years and helps with packing, grading, running the machines and carrying out quality checks – all with a smile. 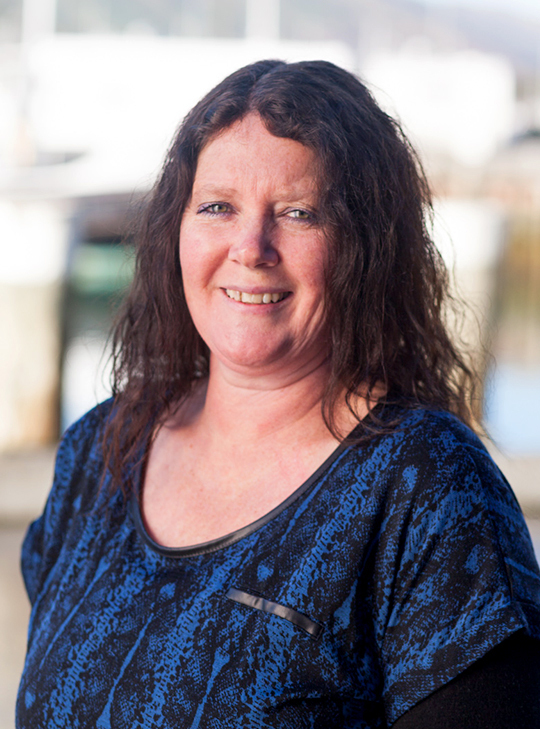 Adele enjoys continually learning and upskilling. Outside of work, she gets creative with junk – painting it and creating new treasures. 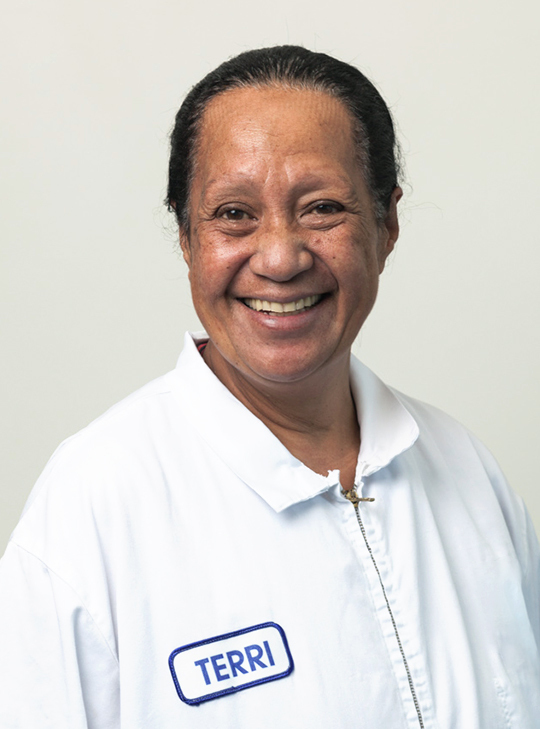 Jeanette is a new employee and is loving being part of the Sanford crew, almost as much as she loves eating kai moana (seafood). Jeanette’s sister holds the Guinness world record as the world’s fastest mussel opener. Seems that opening, grading and eating mussels is a family thing! 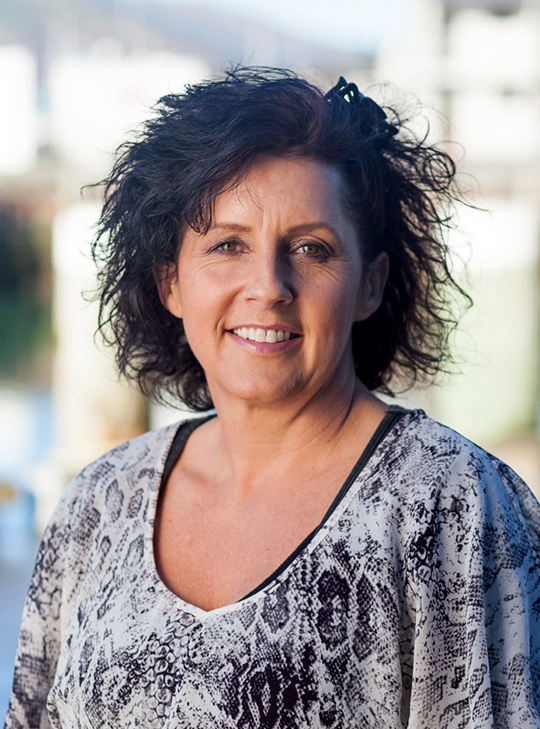 Karen has 10 years’ experience in the mussel industry as a machine operator, grader, packer and quality controller. Outside work Karen is a keen ‘do-it-yourselfer’, turning her hand to making just about anything she needs; furniture, picture frames, dishes and more. 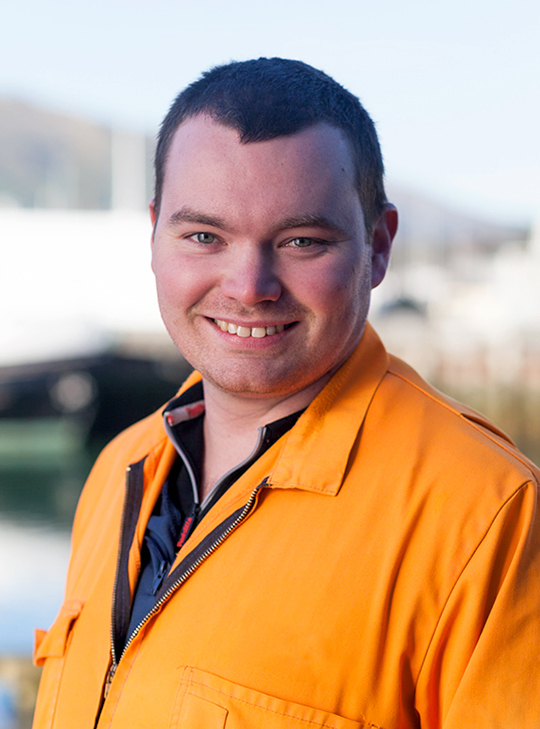 Harris has three years’ experience in the fishing industry and five years in aquaculture. He started with Sanford as a packer and has worked his way up to a supervisor role, which he loves. The other aspect Harris enjoys about seafood is eating it! Outside work, Harris is captain of the Waitohi Rangers rugby club.